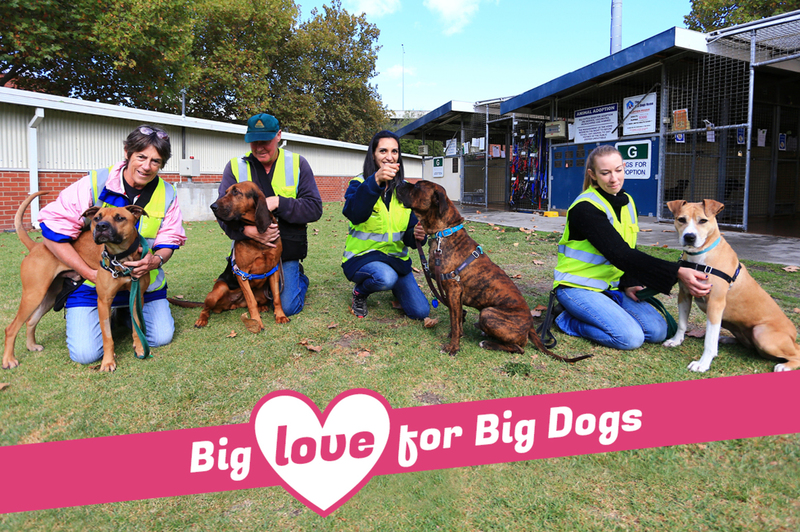 Pooch love comes is all shapes and sizes but some dog lovers would argue, thebigger they are the better. This morning, fresh off the back of their morning stroll Jaxon, Athena, Chuck and Ivy enjoyed a big old play and cuddle with our volunteers. Each unique as a fingerprint have two things in common – they’re big breeds and have waited some time to be adopted. Over at our Echuca shelter, delightful Bull Arab mix Casper has waited over 80 days to be adopted while, beautiful Ivy has waited to find his true love for over 30 days at our North Melbourne Shelter. – And, we’ll have all our usual Pets-A-Loud segments coming your way! 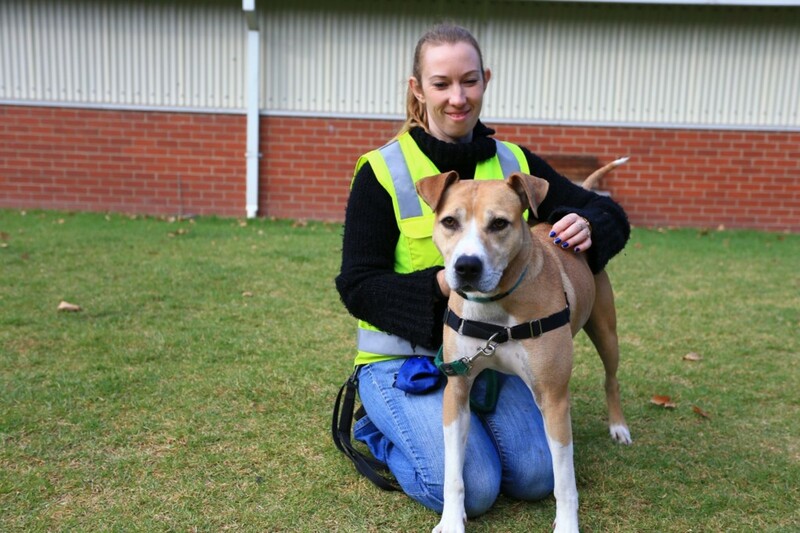 Ivy is a very affectionate girl who at times can be stubborn and strong willed. She is needing an owner who will commit to ongoing professional training to ensure she remains well socialised and polite. Ivy has lots of energy and is quite strong on lead. She requires an equally physically strong owner who can meet her high exercise requirements. Ivy can be unsure about how to interact with small animals and is best suited to an only dog home or, better yet, with another large well mannered and playful dog. Ivy is not suited to a home with small children as she has a tendency to be over excited and boisterous. If you are interested in adopting Ivy and think you meet all her requirements please speak to a member of the Behaviour Modification team. Athena is a large friendly dog. She is also friendly with other polite dogs but ongoing training and controlled socialisation is essential as she is very strong. She is best suited to an owner experienced with the Bloodhound breed. 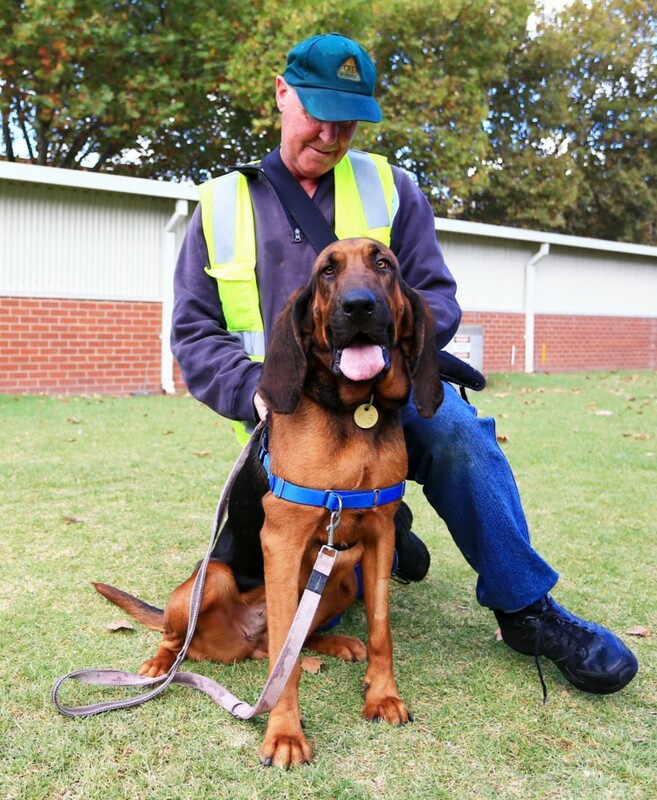 The Bloodhound breed is usually a gentle dog, but is tireless when following a scent. Because of its strong tracking instinct, it can be wilful and somewhat difficult to obedience train and handle on a leash. Bloodhounds have an affectionate and even-tempered nature with humans, making excellent family pets. However, like any pet, they require supervision when around small children.